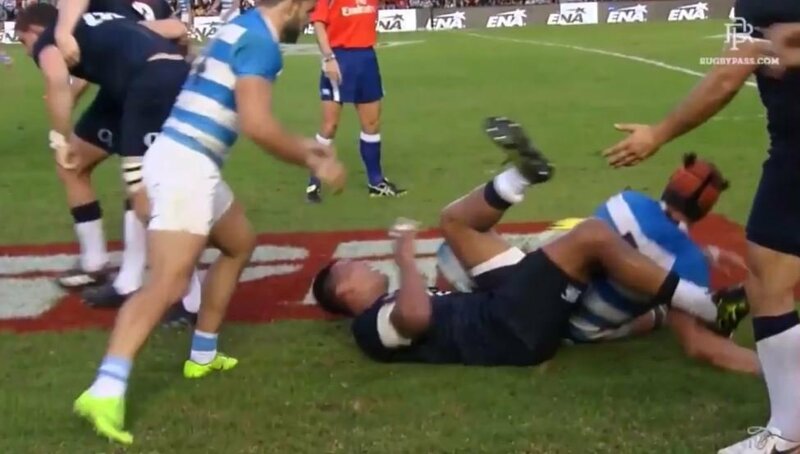 6’7, 130kg Tomas Lavanini is no stranger to cheap shots and this attempt to bring down an English maul in the 66th minute of the clash last night was at best a reckless challenge, and at worst an attempt to injure a player. Of course it’s not illegal to tackle someone’s knee but as Hughes was at the back of the maul the hit was as completely unexpected as it was illegal. Don’t be surprised if the giant Puma is cited.